Migos and Chris Brown's tempers just got things jumping at the BET Awards after-party ... so much so, cops had to respond. Sources at the party tell us Chris had just finished premiering his new music video with Future at the event ... near Microsoft Theater in downtown L.A. We're told the guys from Migos were walking in at the same time, and when they came face-to-face with Chris' crew things got tricky. Witnesses tells us someone in Chris' group pushed Quavo, and then one of the Migos guys jumped in ... but then he got punched. We're told Chris kept walking while all of this was going on -- perhaps, wisely, realizing he don't need any heat from Johnny Law. 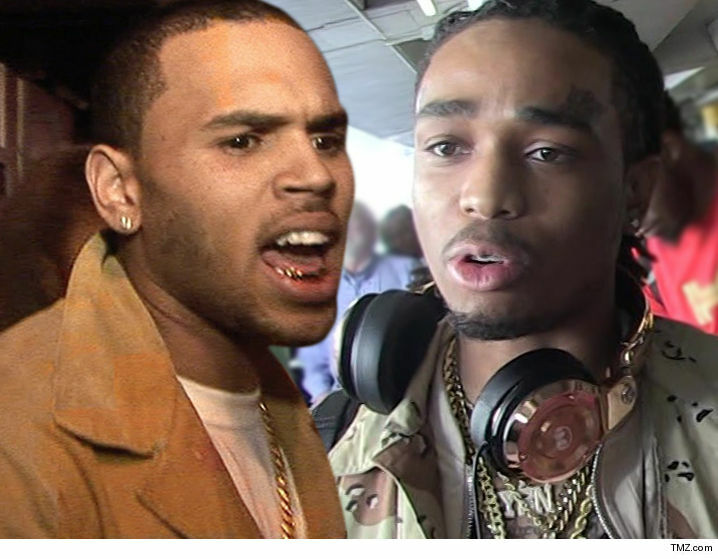 However, we're told Migos and some friends followed Chris to his car and surrounded him. Ultimately, Chris was able to leave without anyone getting hurt ... but not before some very tense moments. We're told cops showed up too, but everyone had split by then.